Hey everyone! 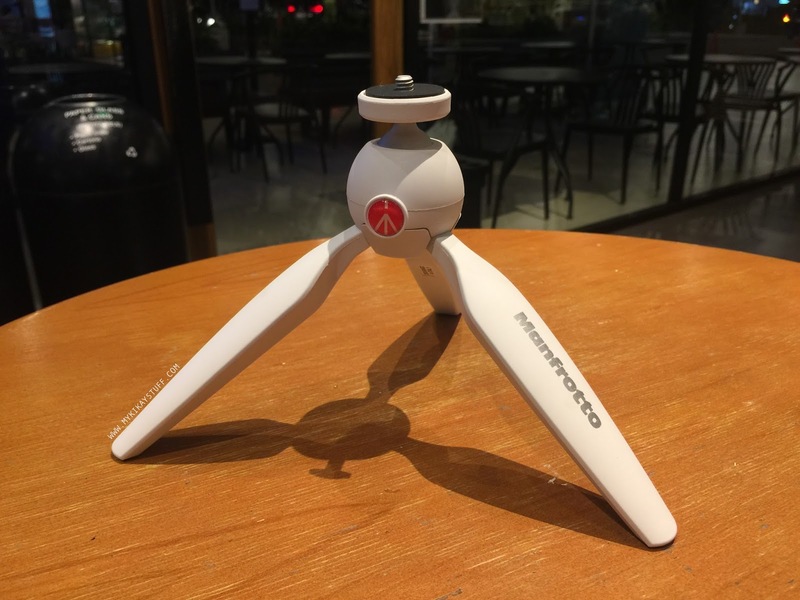 I am back with another tech accessory review and this time it's about the Monfrotto Pixi Mini Tripod. Last year when Sam and I went to Disney World, I couldn't have taken beautiful photos of us together without the tripod I brought with me. It was actually a freebie from one of the events I attended and it got broken a few days after our trip. 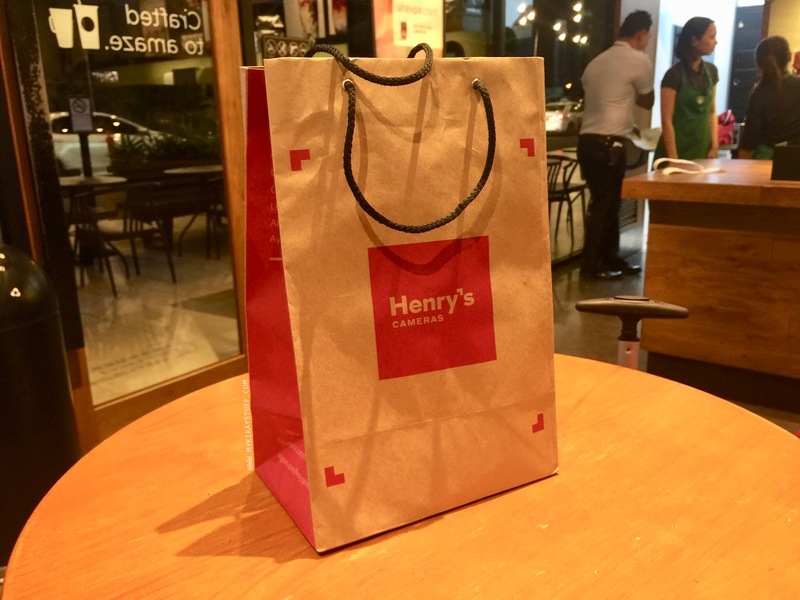 I haven't been on the lookout for a replacement but after seeing Henry's branch in Trinoma, I just knew it was about time to get a good quality tripod. Did you know that tripods can be brought inside Disney Parks? That's what I learned first hand when we were in Disney World last year. 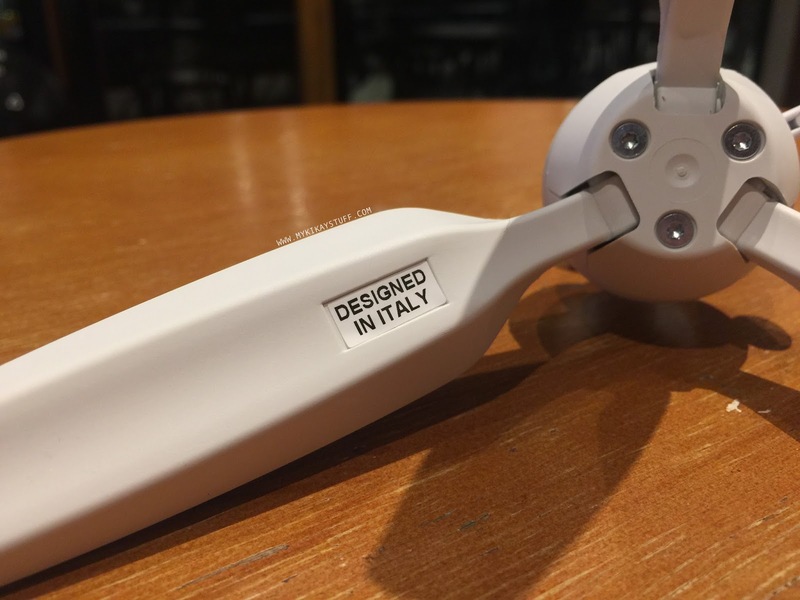 You can't, however, bring a tripod that expands or doubles as a selfie stick. Anyway, this mini tripod was the first thing that caught my attention in the store. I like how you can see the entire tripod through the packaging. Although, this can be a hassle for buyers since you can't test or inspect it before purchasing. The SA (to my horror) actually ripped open the plastic after I paid for it. Good thing it still looked good when I took pictures. I got the white one but it also comes in gray and black. I got the medium size which is perfect for my phone and probably any standard sized point and shoot camera. Although you have to take note that it doesn't come with the phone holder that attaches on top of the tripod. 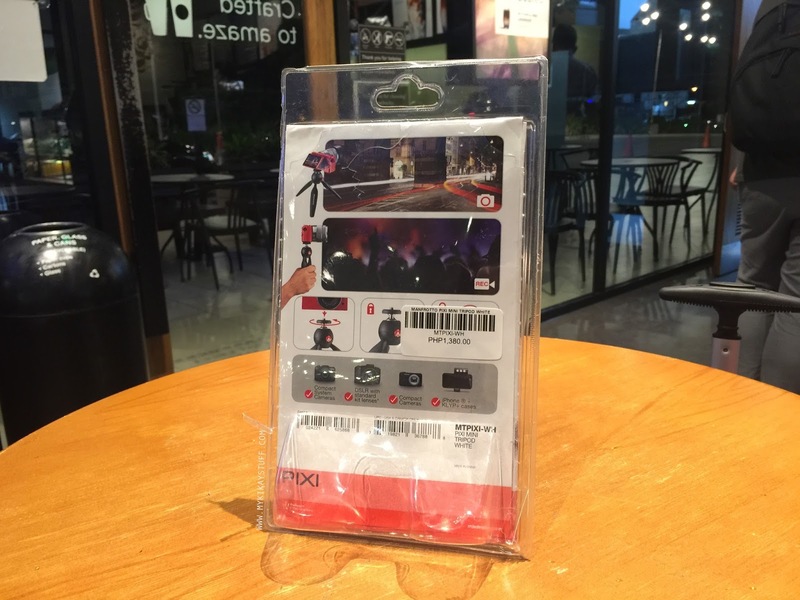 They do have a mobile clamp available in Henry's but it's even more expensive than the tripod so I bought a generic holder from Daiso instead. I actually love how this tripod is sturdy yet light to carry around even with one hand. The feet are easy to position but once they're set, you're left without much choice in terms of height. 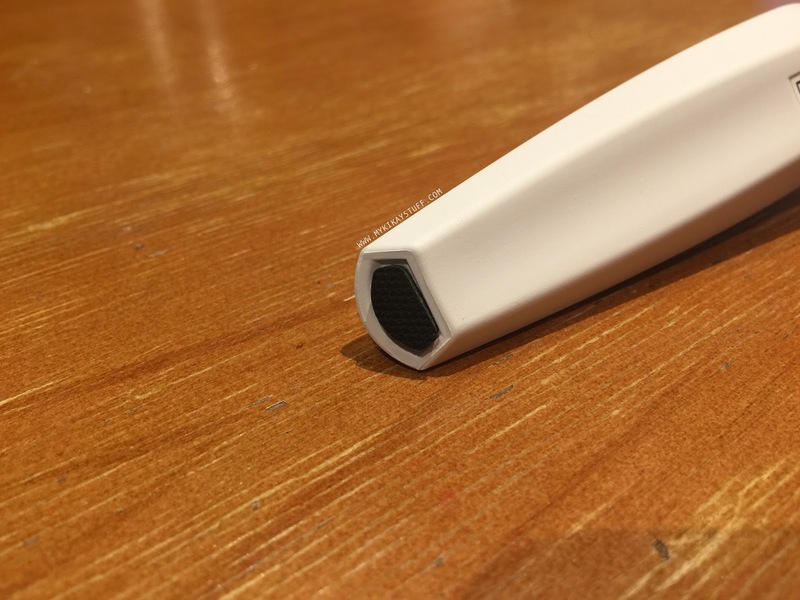 Although, you can put it on top of any flat surface and it won't wobble or even budge thanks to the rubber pads. I also like how you can tilt the phone or camera in multiple directions by pushing the logo button. 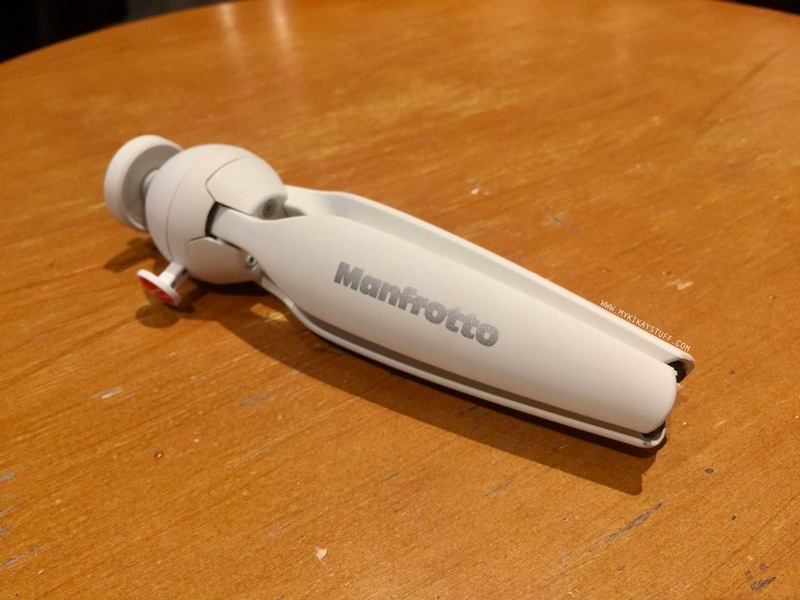 Overall, this Manfrotto Mini Tripod is a great tool to have around. I love to use it for taking pictures of products I'm reviewing for the blog and I'm more excited to use it on my next travel. 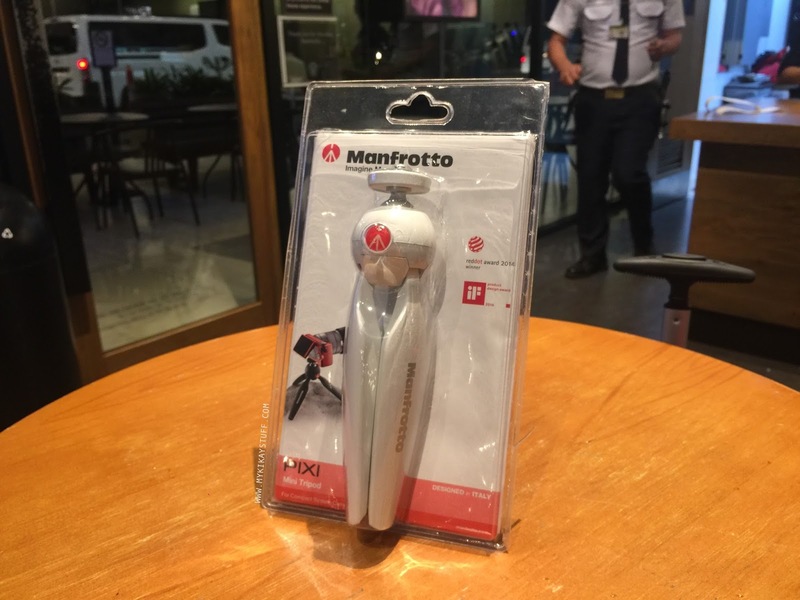 Manfrotto products are thankfully sold locally and you can find them in Henry's Cameras. I got mine from their Trinoma branch which by the way has been under my nose all this time. 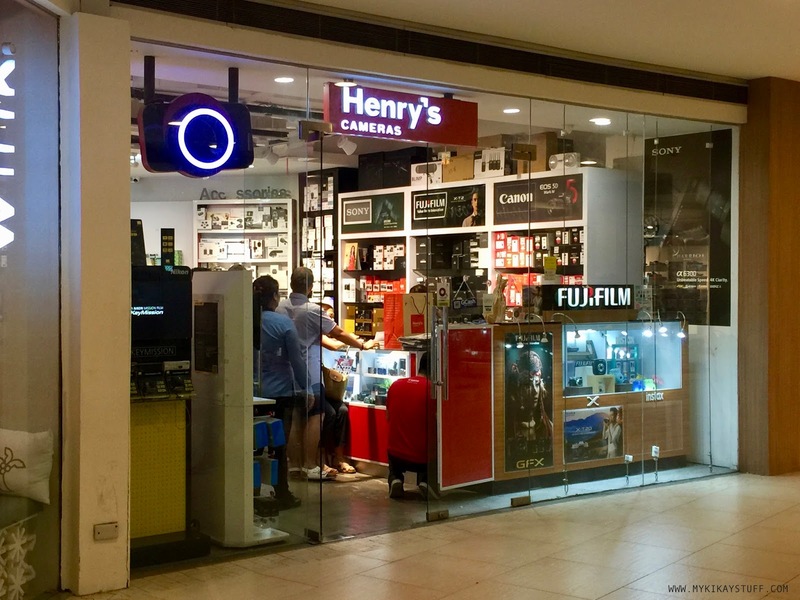 It's funny how I kept planning to visit their Hidalgo branch not knowing there's a branch in Trinoma all along! I finally spotted their shop at the 3rd level of Trinoma just across the VIP Lounge and I couldn't help but take a pic so there it is! That's about everything I have to say. If you have any questions, feel free to leave them on the comments section and I'll have them answered as soon as I can. Thank you for reading my blog and have a great weekend! post was good. I don't know who you are but certainly you're going to a famous blogger if you aren't already ;) Cheers! 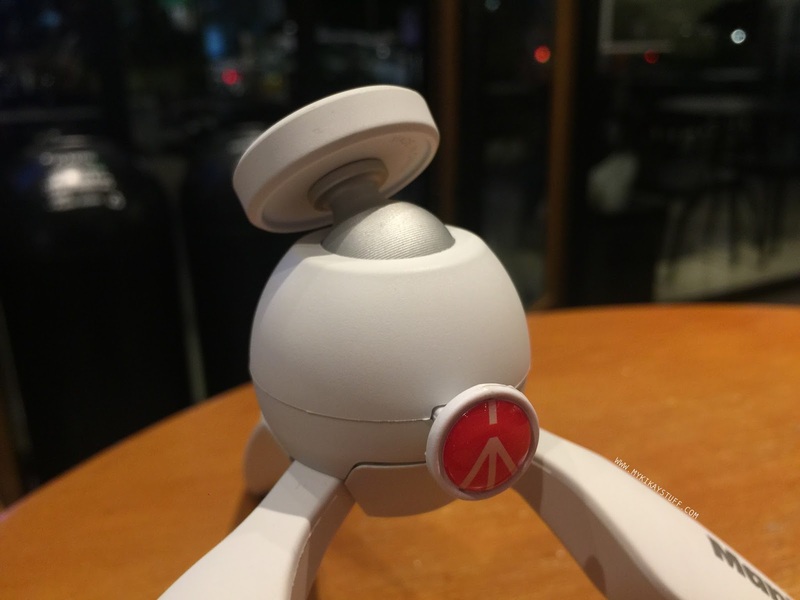 ang ganda naman nitong tripod!